The Michael and Margaret Heller House and its associated buildings comprise a historic cluster of resources located in Lower Saucon Township, Northampton County, Pennsylvania, 800 feet due west of the Borough of Hellertown. The property, also located two miles south of the City of Bethlehem, is bounded by Friedensville Road to the north and the Saucon Creek to the east. 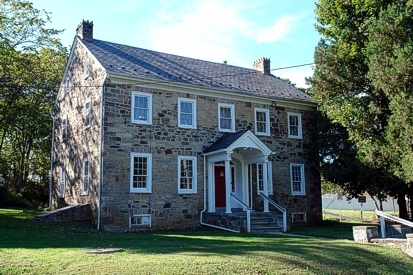 It is owned by Lower Saucon Township and is used as a historic house museum and township park. The property contains three contributing buildings and a barn ruin. The key building on the property is the Michael and Margaret Heller House, a two-part building built in 1751 and renovated in 1935 to reflect the popular trends of the Colonial Revival movement. Other resources on the property include the Widow's House (built 1850), a root cellar (mid-19th century), the ruins of a large stone and frame barn (built 1790). Remnants of the foundation ruins of two small buildings (a wagon shed and wagon house) are located northwest of the barn ruin. The property was originally settled in the mid-18th century. 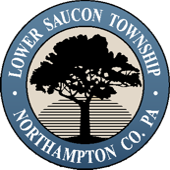 It was included in a parcel of 150 acres warranted to Nicholas Walber on 10/1/1737; the warrant states that the property is located "On the Saucon Creek" in what was then Bucks County. The survey, dated 4/6/1738, identifies the location of the property, roughly bisected by the Saucon Creek. Walber also received a warrant for a nearby tract of 100 acres. Within a decade, Walber defaulted on his quit rent and sold the property. Michael Heller (1724-1803), an important early settler of Northampton County, purchased the rights of Walber on 7/28/1747. Since there were other men of the name Michael Heller living at the same time in the vicinity, each took a nickname. This man was called "Alt Vater Mike," or Mike the Elder. He emigrated with his parents from Germany to Pennsylvania in 1738. Heller obtained a survey order for Walber's 250 acres on July 31, 1751, and constructed the core of the farmhouse just after purchasing Walber's rights to the property. The 250-acre property was located immediately north of another rectangular tract of 250 acres purchased by Heller's brother Simon Heller in 1746. Michael Heller played a major role in the settlement of the area. Although his father Christopher Heller is usually cited as the founder of Hellertown, historic sources point to Michael Heller as the founder. Christopher Heller lived a mile southwest of Hellertown, while Michael Heller owned the western half of the current borough. Michael Heller made many contributions to the Saucon Valley. In 1756, he was one of the first people to join Colonel Anthony Lerch's cavalry that was described as the first body of armed men to reach the massacre of the Moravians above Lehigh Gap and compelled the Indians to remain above the mountains, thus saving Bethlehem, Nazareth and Easton. Heller constructed a mill on the west side of the Saucon Creek north of his house (not on the property today). He sent the first set of provisions from the Saucon Valley to Valley Forge during Washington's encampment. The property was entered on the National Register of Historic Places on June 28, 2010.